We repair broken, cracked and damaged MacBook Air screens Australia-wide. We stock only authentic Apple MacBook Air screens; our professional technicians are experienced, efficient and replace your screen same-day. Same day, on-site MacBook Air screen replacement can also be arranged. 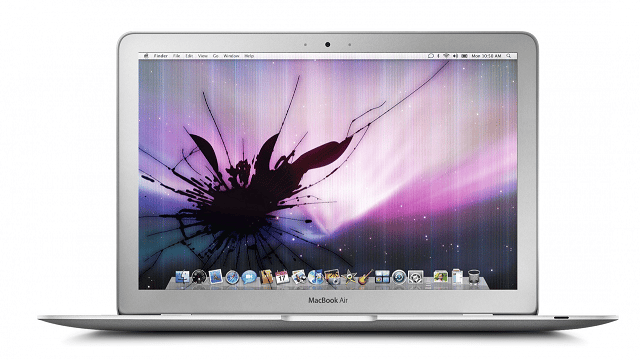 Our team can repair or replace your MacBook Air screen on-site at your home, school or office in as little as 45 minutes. All our screen replacements come with a 12 Month parts and labour warranty. Contact us for a free quote by filling in our form, or call us on 1300 829 893 or 0402 738 038. We are available 7 days a week, from 8am – 8pm.